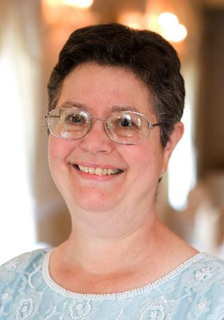 My name is Susan Savad and I live in New Jersey. When my younger son started nursery school (this was 1981), I decided to go to art school and attended DuCret School of the Arts in Plainfeild NJ for seven years graduating in 1989 (this was actually a 3 year program but I was taking care of two boys and going to school part-time). I am currently working as a graphic artist at an electronics company taking care of their website and catalog but am planning to retire next month. At that point, Zazzle will become what my sister calls my "jobby" which she tells me is what in her neighborhood retired people do and is a cross between a job and a hobby. Susan I had signed up for some newsletters from art websites and one of these websites (I don't even remember the name of it now) said they were starting a print on demand business which is something I had never heard of before. I googled it and came up with several names and signed up with CafePress, Printfection and Zazzle. The layout of Zazzle at first confused me and at that time they hadn't yet started Quick Create so I didn't do much with my membership then. However, as CafePress slowly started taking away the artist's share of the profit, I was determined to figure out Zazzle and once I did I really enjoyed it much more than the other PODs. At Zazzle, it's not just a matter of slapping on a single design onto a product. Because you can layer several designs and add text makes it much more creative and I've enjoyed making business cards, save the date, wedding menus and wedding programs which isn't possible, as far as I know, at other PODs. Susan My main store is Designs By Susan where I have my flower designs and digitally enhanced photographs. My other store, Susans Art Gallery, is where I show my paintings. Although I consider them both fine art, I wanted to keep the two types of work separate. 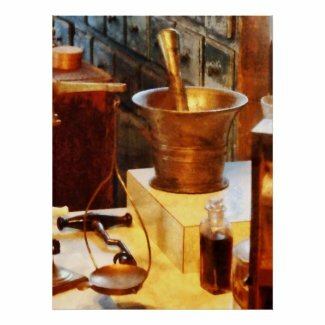 My best selling product so far has been the Brass Mortar and Pestle Poster. My next best selling product is Red Tipped Yellow Carnation Save the Date Invitation. Susan I work on my paintings and have just started playing my violin again after many years. Now that I'm just about to be retired, I hope to join a small local amateur string ensemble. I am, of course, very interested in photography as it is the basis of my designs. Susan Zazzle can be very addicitive and I actually have to think ahead of time when I'll stop and do something else. For instance, I might shut my computer off before lunch and come back after lunch to work on a painting. Otherwise, I might keep saying to myself, I'll just work on this design a little longer and I when look up at the clock, it's dinnertime. Susan If I don't count that initial period of time when I wasn't sure how to post products to Zazzle, it took a little over a year for me to become a ProSeller. Susan When I first started, my original concept was to have a shop with just flower designs because I read on one of the forums that a focused shop did better. However, although I was selling my designs, I thought I could do better. Things picked up when I diversified my shop. I have many different categories in my main store but have been really careful to be strict about make different sections for each category so that hopefully it is not confusing to the customer. 1. Have a broad range of categories. This way you have much more chance to have what a customer is looking for. 3. Although you have to think quality first, the more products you have up and the more diverse the designs, the more chance you have for it to show up in the marketplace and for a customer to like it. Great advice Susan. You have beautiful products in your shop. I love all of your flower work.